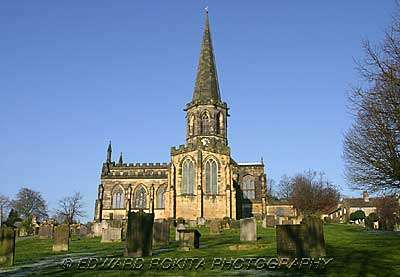 Bakewell was mentioned in the Domeday book as having a church and 2 priests signifying its importance even then. In 1502 Bakewell was owned by the Vernon family and passed on to the Manners family in 1567 when Dorothy Vernon married John Manners. Their son, Sir George Manners married Grace Pierrepont who in 1637 founded the grammer school, Lady Manners School. 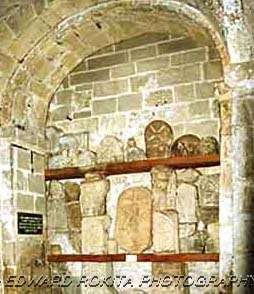 Monuments to the Vernon family can be found in the All Saints Parish Church which stands in a commanding position on the hillside where the town started. The Church is broad and low and has an octagonal tower with a graceful spire. The bulk of the church as it stands now dates from the 13th and 14th centuries, though there are many fragments of Saxon and Norman Stonework to be found. It was considerably restored in the 19th century, when the nave was rebuilt. The south transept holds the Vernon Chapel with monuments to Vernon and Manners families, including splendid ones to John Manners and Dorothy Vernon, and Sir George Manners, father of the 8th Earl of Rutland , and his wife Grace. 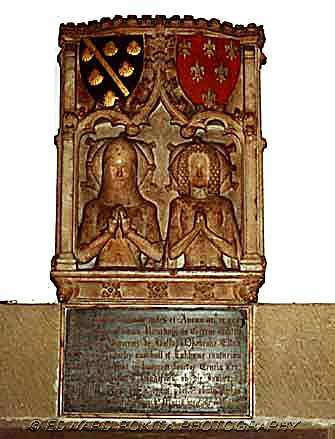 There is also a remarkable monument to Sir Godfrey Foljambe and his wife, in the south aisle, dated about 1377 and set in alabaster with coats of arms above. 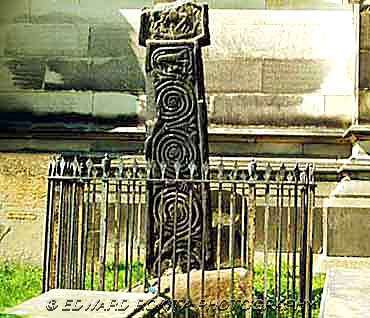 Outside the church is the remains of a Saxon Cross.